Historicism is loyal to, though not sponsored by, the Seventh-day Adventist church. As of 09/14/10 all papers from the original Historicism print publication have been posted. 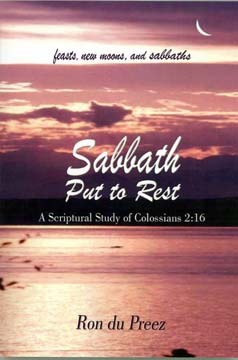 Ron du Preez, Sabbath Put to Rest: A Scriptural Study of Colossians 2:16	(Weimar, CA: Omega Media, 2007).